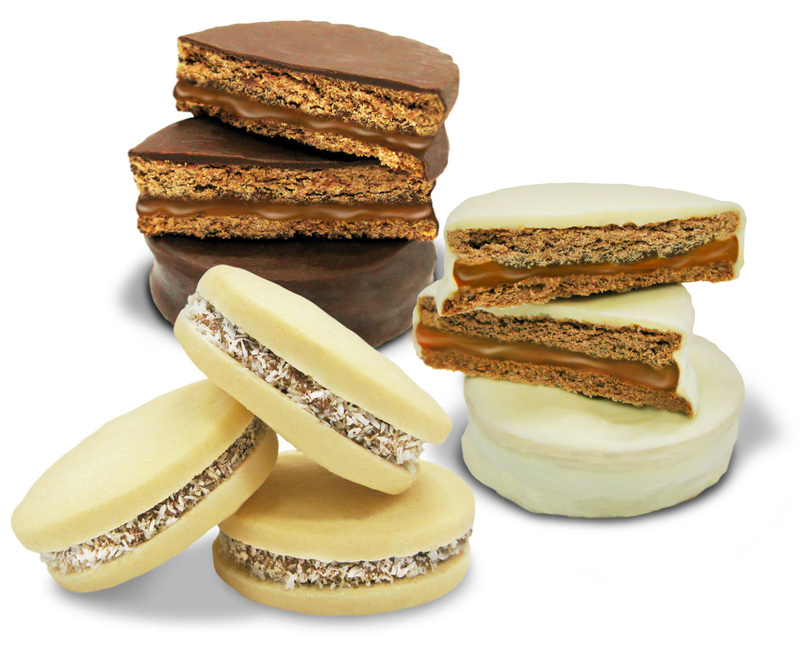 The Alfajor is a pastry confection originary from the Arab world (comes from the word al-Hasu, which means “stuffed”). Our alfajores are composed by two round cookies united by a thick dulce de leche layer, all covered in a black or white chocolate coating. Perfect for breakfast, snack or dessert.